It won’t be long until we see Milos Teodosic in Europe again. 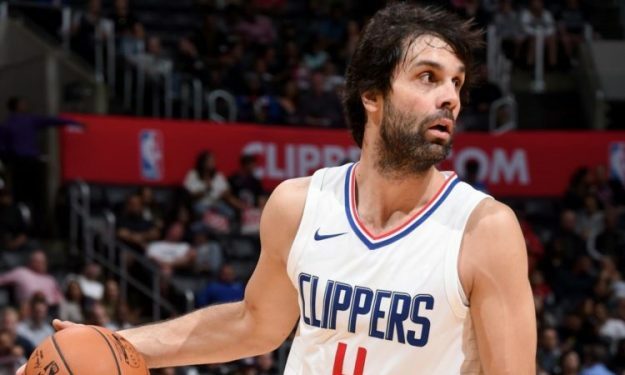 L.A. Clippers guard Milos Teodosic revealed that his return to Europe might come much sooner than expected. How soon? Well, don’t be surprised if we see him back on European courts this season. “I think I definitely won’t stay here because… I came, I saw how it looks and somehow… I enjoy more and it’s nicer for me to play in Europe. So, I will return to Europe for sure, will it be during this season or at the end, we’ll see,” Teodosic said in an interview with Glas Amerike. While the Clippers kept Teodosic last summer after he exercised his option to stay with the team for 2018-2019, he has struggled (having also to bounce back from injury problems) to log a fair amount of minutes, averaging 10.3 per game over eight matches he’s participated in so far this season. Sufficient playing time and an important role on the floor were key factors behind Teodosic’s “NBA decision” in 2017 and now the Serbian guard finds himself spending more time at the bench rather than seeing some action. If Teodosic parts ways with the Clippers and make himself available for European clubs, he’s expected to draw heavy attention by EuroLeague powerhouses. Before the Serbian guard made the jump to the NBA, he had an offer on the table by CSKA Moscow to stay with the team on a 3-year, 12-million contract. This kind of deal would make him by far the highest-paid player in Europe but Milos opted to pursue the opportunity of tasting the NBA experience. Teodosic joined the NBA at 30 years of age by signing with the Clippers in the summer of 2017, following a decade of playing in EuroLeague. The Serbian guard was widely considered among the elite (if not the best) players outside the NBA when the Clippers acquired him and was coming off a career in Europe filled with numerous individual and team distinctions at a club and international level.